BC based MacDonald Dettwiler (MDA) started the year off on a sour note with the expiration of its $280 million USD agreement to build a space infrastructure servicing (SIS) vehicle for on-orbit satellite repair and refueling with satellite services provider Intelsat General Corporation. As outlined in the January 15th, 2012 post "MDA Satellite Servicing Agreement with Intelsat Expires," the original intent of the partnership was to leverage US connections to allow MDA to bid on American government contracts. When Intelsat was unable to do this, the partnership dissolved. As described in the December 11th, 2011 post " Canadian Space Rovers on the Chopping Block," funding for a series of Canadian Space Agency (CSA) lunar and Martian rover designs ran out on schedule in March, after the construction of several prototypes. By the end of the year, as outlined in the October 20th, 2012 post "Lots and Lots of Rovers Looking for Missions," the CSA had spent a great deal of time and effort attempting to interest many other organizations in the rovers, but no formal agreements had been signed. The Federal government announced that the long awaited review of the Canadian aerospace ("and space") industry would finally move forward and appointed former MP David Emerson as its head. As outlined in the February 26th, 2012 post "Aerospace (and Space) Policy Review Head Announced," the review mandate was to "explore how government, industry and other key stakeholders can address the key issues facing the aerospace and space sectors, such as innovation, market access and development, skills development, procurement, and supplier development." The review expected to present its final report to the Federal Industry Minister before the end of the year. In March, the Federal government released a new budget which included no funding for the phase D, implementation stage of the RADARSAT Constellation Mission (RCM) and called for a 10% across the board funding reduction in federal government departments, including the CSA. Most Canadian space focused companies (such as COM DEV International, as outlined in the April 16th, 2012 post "COM DEV Learns from its History") began to quietly diversify their client base away from government contracts. As outlined in the April 3rd, 2012 post "3500+ Advocates, Scientists, Space Agency Heads & Experts in Toronto for IAC 2014," the International Astronautical Federation (IAF) announced that their 65th Annual conference will take place in Toronto in 2014. The bid, initially organized by the Canadian Space Society (CSS), was updated and finally submitted by the Canadian Aeronautics and Space Institute (CASI), which helped organize previous IAF events in Canada. IAF Executive Director Christian Feichtinger visited Ottawa just days before the final announcement was made in order to make a presentation at the 2012 Canadian Space Commerce Association Annual Conference on March 28th. As outlined in the April 9th, 2012 post "Global Space Industry Grows 41% Over Five Years," the 2012 Space Report, a yearly assessment of the global space industry, indicated a continued pattern of strong growth proceeding substantially faster than the rest of the worldwide economy. Of course, the Canadian situation is a bit more complex. As outlined in the December 17th post "2011 State of the Canadian Space Sector Now Online," the Canadian space industry was starting to slow down during this period. MDA, in a bid to restore phase D funding for RCM, issued an increasingly strident series of press releases and interviews in a variety of publications throughout the spring. As outlined in both the May 14th blog post "MDA & RADARSAT Constellation's War of the Words" and the May 27th blog post "Federal Government Says "Yippee Ki Yay" to MDA" these appeals had limited effect on Federal government action due to the concurrent reports of large RCM cost overruns. In November 2012, with no funding on the horizon, the Federal government finally made a public statement of the obvious in response to a question posed in the House of Commons by NDP MP Hélène LeBlanc and indicated that RCM would be delayed by at least two years. By the end of the year, despite public statements of support, the Federal government had still not allocated any further RCM funding. In June, MDA finally succeeded in cutting the "gordian knot" of government contract reliance and entry barriers into the lucrative US marketplace by purchasing a space company with US roots. As outlined in the June 27th, 2012 post "MacDonald Dettwiler buys Space Systems Loral for $875M," the new acquisition allowed MDA immediate access into the US market and changed the company focus from government satellite contracts to private telecommunication satellite manufacturing. Best of all, Defence Advanced Research Project Agency (DARPA) contracts, a prize MDA had long coveted to help commercialize their SIS technology, began flowing almost immediately and Canadian government funded RCM contracts suddenly became less important to the overall profitability of the firm. Of course, only time will tell how this new state of affairs will effect Canadian employment opportunities at MDA. Cambridge based small-sat company exactEarth LLP launched one of only two complete Canadian satellites into orbit in 2012. Their exactView EV1 automatic identification system (AIS) satellite, part of a growing constellation of nautical tracking satellites, was launched into orbit from Baikonur on July 22nd. Two months previously on May 18th, the much larger Nimiq 6 communications satellite (manufactured by Space Systems Loral and operated by Telesat Canada for Bell TV) launched from the same location aboard a Proton M launch vehicle. 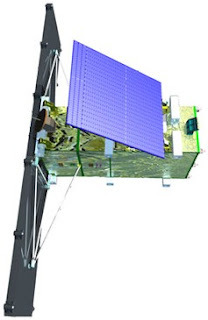 Four other Canadian satellites, the Department of National Defence Surveillance of Space (Sapphire) satellite, the Near-Earth Object Surveillance Satellite (NEOSSat) and the CanX-3a and CanX-3b micro-satellites, bundled together as secondary payloads with the joint Indo-French developed Satellite with ARgos and ALtiKa (SARAL), were delayed from their initial December, 2012 launch date and are currently not expected to launch before February 2013. Lethbridge, AB based RapidEye Canada Ltd. acquired German based RapidEye AG on August 29th. The company, complete with a satellite constellation of five Earth imaging satellites originally designed by MDA, began with seed financing from a few private investors and Vereinigte Hagelversicherung, a German agricultural insurance provider in a process indicative of the emerging "NewSpace" industry. Five other emerging companies were profiled in the June 26th, 2012 post on "Five Canadian NewSpace Companies to Watch" and former CSA president William MacDonald ("Mac") Evans joined the board of one of them (UrtheCast) in December 2012. Right on time, David Emerson released his final Aerospace Review Report on November 29th to generally positive reviews and promises from the Federal government not to let the report languish "unread on a shelf." As outlined in the December 5th post "What the Space Volume of the Aerospace Review Actually Says," the review was a surprisingly robust endorsement of both the larger "aerospace and space industry" and the small, emerging Canadian "NewSpace" sector of innovative, space focused businesses. But it also called for new oversight of the CSA and recommended the removal of both its current policy-making role and any direct involvement in the design and manufacture of "space assets purchased by the government." And finally, in what could be the "last hurrah" of the CSA in its current form, Canadian astronaut Chris Hadfield and his Expedition 34 crew members Roman Romanenko and Tom Marshburn docked to the International Space Station (ISS) on December 21st. For Hadfield, this is the start of a five month journey in which he will become the first Canadian to command the space station when the next crew arrives in March. 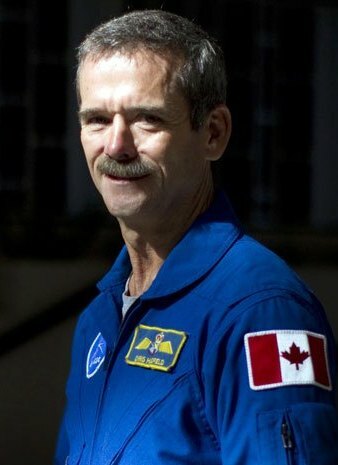 However, no further Canadian astronauts are expected to visit the ISS after Hadfield completes his mission. Add this to the Emerson recommendations, the lack of currently announced funding for RCM, the launch delays for NEOSat and SAPPHIRE plus the lack of any new, funded projects for the CSA and it's reasonable to consider Hadfield's mission as the last real space project the CSA is going to participate in for a long, long time. What's going to happen next year in space for Canada? Tune in beginning January 1st, 2013 to find out. 3D printers, an often mentioned solution for jump starting a space based manufacturing industry, might just be in the midst of revolutionizing Earthbound manufacturing as well. At least, this is the thesis presented by independent journalist James Corbett, who took a recent look at the technology for his December 17th, 2012 Corbett Report podcast. According to Corbett, this is not some "pie in the sky fantasy of something which is going to happen in some vague nebulous future." This is instead an existing technology already in use by major manufacturers to create current and very complex technology. To support his point, Corbett has referenced documents and videos from a variety of sources, including the BBC, a recent TED Talk from Lisa Harouni, the CEO of Digital Forming (a company which focuses on the software side of the 3D printers) and a variety of other sources. Each source is referenced and listed with web links on the podcast site for those who prefer to verify research independently. Is this an original Aston Martin? 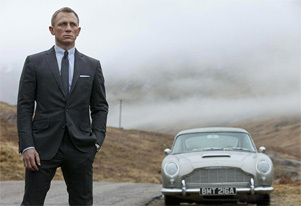 Check out the November 12th, 2012 post "How 3D printed cars were created to spare the priceless original while filming SkyFall" on ZeeNews.com. As outlined in the November 15th, 2012 Extreme Tech article "NASA 3D prints rocket parts — with steel, not plastic," even rocket parts can be manufactured using 3D printers and Corbett dealt with both the untapped potential and the expected consequences of this new technology. The podcast tackled issues relating to property rights, the ecological benefits of using "additive" technology, the potential for lost jobs as traditional manufacturing is superseded and even the problem of "gun control" in a society where almost anyone can build complex weapons and tools on the kitchen table. Corbett is one of the new generation of independent, online journalist who aren't tied to an existing "mass media" outlet and use this freedom to generate in-depth content using open-source information. It's quite possible that people like him will end up becoming the future of media in much the same way as the 3D printer will likely become the future of manufacturing. 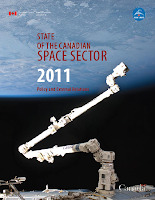 2011 State of the Canadian Space Sector Report Now Online. The Canadian Space Agency (CSA) has posted its 2011 State of the Canadian Space Sector report on the CSA website. It's an interesting snapshot of the last days before BC based MacDonald Dettwiler (MDA) moved direct into the US market by purchasing Space Systems Loral; when conventional wisdom considered RADARSAT Constellation fully funded and only a little bit behind schedule/ over budget; and when the CSA could reasonably make the case that it had the in-house expertise to make policy. After four years of successive and sustained growth, this year (2011) saw only modest growth pegged at 1.3% overall, with total revenues in the space sector edging to reach $3.483 Billion. Domestic revenues increased by 4.8%, while exports dropped by 2.2%. At the same time, after three years of growth, the space sector workforce stalled and shed 9% or 762 space-related positions, among them 471 highly qualified persons in 2011. The report suggests strongly that sluggish Canadian growth in 2011 could reasonably be tied to the sluggish growth of the US market and the difficulties Canadian space focused companies have to face when attempting to enter this market. Despite losing 2 percentage points in proportional share to other regions this year, the United States remains the largest market for Canadian space exports, accounting for 48%, or $807M, of the $1.665B total exports. The American market decreased by 5%, or $43M, from 2010 to 2011. 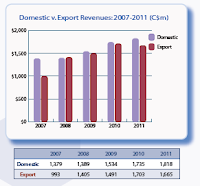 Decreased revenues in the USA brought down total export figures and masked the gains made elsewhere, such as in Europe. The report also indicated that "Despite the drop in 2011, the five year trend analysis shows a very strong export market for Canadian space-related goods and services. The CAGR (Compound Annual Growth Rate) over the past five years was 11%." On the domestic front, revenues grew by 4.8% ($83M) between 2010 and 2011 reaching a total of $1.818B in 2011. 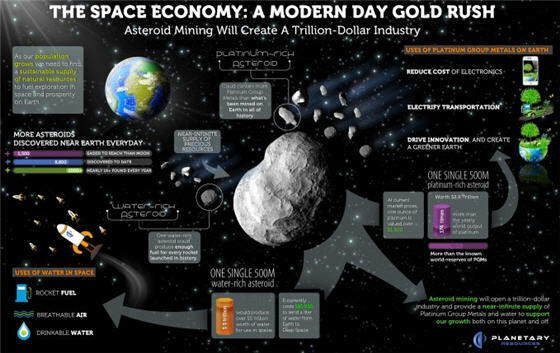 80% of space sector revenues derived from private (non-governmental) sources and 20% came from government. However, the government revenues, likely fueled by the 2009 Federal Economic Action Plan, were growing faster. 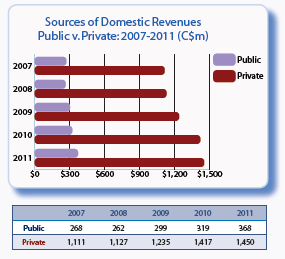 In 2011, private (non-governmental) sources of revenue increased 2% (from $1,417M to $1,450M). In 2011, public (government sources) increased by 16% (from $319M to $368M). The majority of the $368M that organizations received from Canadian governments was from federal sources. The Canadian Space Agency (CSA), Department of National Defence (DND), Natural Sciences and Engineering Research Council (NSERC), and Natural Resources Canada (NRCan) were among the top sources for revenue, reported by companies and universities in the annual survey. The complete twenty two page annual report, along with previous reports going back to 1996, are available online at the CSA website. As the world winds down for the holiday season and real nuggets of space news slowly role to a halt, other items of a more creative nature are rising above the internet background noise. Of course, the video above is broad humor, based on another song currently making the rounds on You-Tube and in the mass media. According to the December 14th, 2012 article posted on The Verge website titled "NASA celebrates Johnson Space Center with 'Gangnam Style' parody," the parody was written and performed by students as a means to "inform the public about the amazing work going on at NASA and the Johnson Space Center." 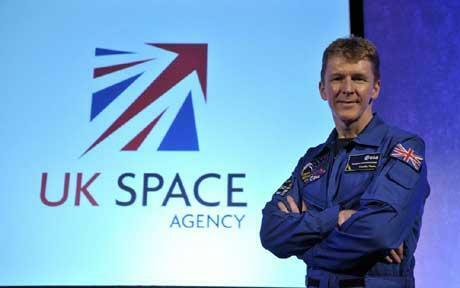 UK Astronaut Timothy Peake. Standing tall. Of course, other organizations aren't always so consciously aware of some of the silly things they do. Take for example, the UK Ministry of Defence (MoD), which followed up a December 13th, 2012 news report from the Mail Online and others about how "£6,000 worth of VIAGRA and anti-smoking pills among items stolen from military bases" with a press release explaining why British military bases maintain a stock of these items. (although) the story claims that £5,885 worth of Viagra has been stolen. This is inaccurate as the medical supplies stolen included an amount of Viagra, but were not limited solely to Viagra. The article also does not reflect that Viagra has other medical uses; for example it is also often used to treat low blood pressure and altitude sickness. There's a SGT. Bilko in every military. Since one half of all International Space Station (ISS) astronauts get altitude (or space) sickness at some point during their stay, this suggests a new area of ISS research, one which could legitimately be sponsored by drug companies. According to news reports, other items stolen from the MoD include a quantity of anti-smoking drug Champix, four computers worth £1200, an electronic jamming kit, night vision goggles, a senior officer's tent, a hot water tank, a set of badminton nets and a £500 karaoke rig. The MoD has indicated that the list includes "only items where investigations had been closed," as disclosing details of ongoing cases could threaten the successful recovery of far sillier items. Even Canadian astronaut Chris Hadfield, who's own personal silly season (as outlined in the September 24th, 2012 post "More Fun Than a Barrel of Chris Hadfields!!!") seems to be slowly winding down as his Expedition 34-35 trip to the ISS comes closer, has posted to reddit.com, on the topic of "I will be living in space from December until May. What types of photos or video do you think I should take?" The post has received 500+ suggestions within the last 24 hours and contributions show no sign so far of "petering out." Mac Evans knows the way this "WIND" is blowing. 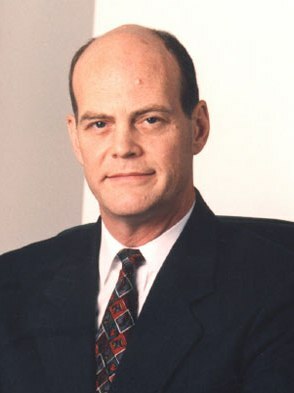 William MacDonald ("Mac") Evans, a 34-year veteran of Canadian public service, the key architect of the 1985, 1994 and 1999 Federal government space plans, Canadian Space Agency (CSA) president from 1994 - 2001 and recent contributor to the David Emerson led Aerospace Review has joined the board of directors of Canadian space start-up UrtheCast. The formal announcement was made by UrtheCast in the December 7th, 2012 press release "UrtheCast Appoints Former Canadian Space Agency President To Its Board." According to the press release, Evans "will help guide the international tech startup in providing the video stream from the International Space Station (ISS)." As outlined in the December 2nd, 2012 Commercial Space blog post "Space Start-up UrtheCast Named One of Canada's Most Innovative Companies,". 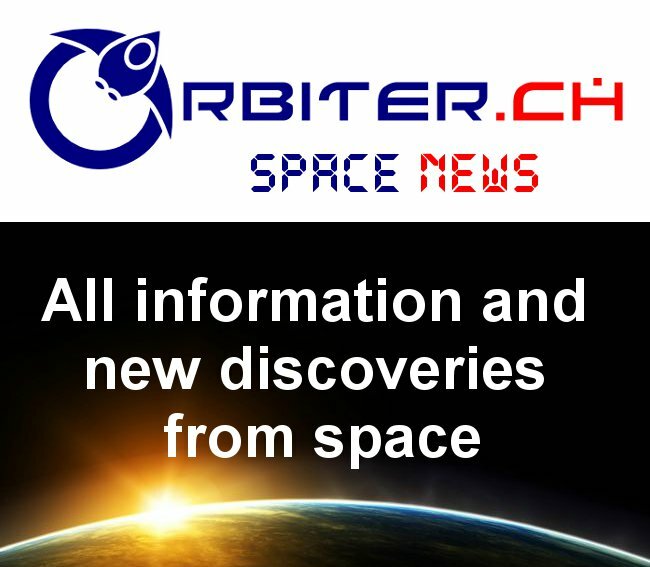 the company intends to install two digital cameras (one medium and one high resolution) on the Russian segment of the International Space Station (ISS) over the next year in order to stream near-live video and static imagery to Earth and offer those images for sale. 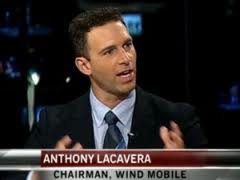 It's worth noting that UrtheCast Chairman Tony Lacavera, is also the Chairman and CEO of of Globalive Communications Corporation and Chairman of WIND Mobile. As outlined in the December 3rd post "Initial Feedback from the Emerson Report" the early responses to the David Emerson led Aerospace Review have been generally positive. Industry Minister Christian Paradis and David Emerson are both speaking at the official opening of the Canadian Aerospace Summit in Ottawa from December 5th - 6th. Photo c/o Aerospace Review website. This reception is due to its surprisingly robust endorsement of the importance to Canada of both the larger "aerospace and space industry" and the small, emerging Canadian "NewSpace" sector of innovative, space focused businesses. But the devil is always in the details and the document also includes a series of new oversight recommendations for the Canadian Space Agency (CSA), an acknowledgement of ongoing CSA procurement problems plus a recommendation to remove CSA from its current policy-making role and also from direct involvement in the design and manufacture of "space assets purchased by the government." An understanding of the long term high level of growth going on in the industry right now (just under 10% a year), accompanied by an equivalent contraction in national space agency budgets, which is what the report calls a global "re-balancing" as traditional players begin to step aside in favor of newer players. An acknowledgement of the importance of the space industry for Canada and a recommendation that the government make the same acknowledgement. A second, ongoing acknowledgement of procurement problems and a lack of direction within government in general and the CSA in particular with regard to "Canada's space program and its role in advancing national priorities." This acknowledgement comes with a recommendation to establish another level of government, a "Space Program Advisory Council" reporting to the Minister of Industry and tasked with CSA oversight, along with the development of a series of one, five and ten year space plans and milestones (Page 32). A shrinking, non-policy making role for the Canadian Space Agency. A second recommendation to narrow the CSA mandate to the point where it would no longer be a "policy-making body" or "directly involved in designing and manufacturing space assets purchased by the government." It would instead advise and support the Minister of Industry, act "as a technical supervisor" to project specific committees and to the Minister of Public Works in order to help negotiate "co-operative agreements with other countries space agencies," plus co-manage (along with the National Research Council) new space technology development. Under this recommendation, the CSA would continue to conduct its own research, operate its existing satellite inventory and maintain the Canadian astronaut program (Page 45). In conjunction with the reduced role and new oversight, a third recommendation to stabilize overall CSA funding plus expand funding for programs which support the development of space technologies for the enhancement of industrial capabilities, such as the Space Technologies Development Program (STDP), by an additional $10M per year over each of the next three years (Page 41). 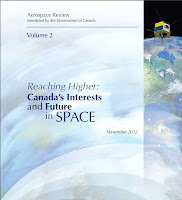 A sense that the current crop of major Canadian commercial space players have grown up "in an atmosphere of limited competition and in some cases, excessive reliance on government spending," with an acknowledgement that this needs to change (Page 26). A telling quote, originally from one of the three Canadian Space Commerce Association (CSCA) submissions to the Aerospace Review (but also included in the final report) on "Commercial Space" or "NewSpace" activities and their overall importance to ongoing growth and the future of the industry (page 21). A recommendation for "encouragement" of commercial space activity. According to the report "some of these ideas may prove fanciful, but others may be visionary and produce tremendous profits for their proponents and the companies in which those proponents operate. The R&D support recommended previously (the CSA technology development program and others listed on page 41) will help stimulate development of the most promising proposals, but its impossible to know with certainty whether a notion which appears unrealistic today might lead to tomorrows breakthroughs. Without endorsing specific speculative projects, public policies and programs can create the conditions for entrepreneurs and researchers to test and pursue creative approaches and, in so doing, jump start Canada's private space activity at a time when the global commercial space business is gaining momentum." (Page 43). Comments on the need to develop an independent launch capability in order to avoid "delays, operational complications and cost overruns," especially in the case of the growing small-sat marketplace (Page 26). Intensifying efforts to procure for Canada more geostationary orbital slots. Simplifying regulatory regimes covering high altitude testing, suborbital and orbital launches and human spaceflight. Making available public infrastructure, such as CSA and NRC laboratories and unused runways, at modest cost for the safe testing of new, space related technologies. Adapting an open data policy for non-security-sensitive raw data generated by publicly owned satellites. Extending the "favorable tax treatment currently afforded to investors in flow through mineral exploration companies to investors in commercial activities in space." Having the Federal government negotiate effective bilateral agreements that increase the access of the Canadian space industry to global markets. Only time will tell whether some or all of the recommendations listed above are ever implemented. 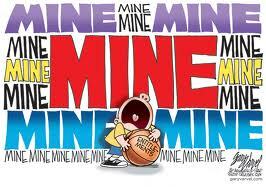 The first true test of their political viability will likely come down with the next Federal budget in March 2013. Initial feedback from the David Emerson-led Aerospace Review (now available in two volumes online at the Aerospace Review website) has been largely favorable with literally dozens of media outlets and organizations weighing in on the issue. According to the November 29th, 2012 Canadian Newswire (CNW) press release “Telesat Strongly Supports the Recommendations of the Aerospace Review on Canada's Future in Space” Ottawa based satellite operator Telesat, “welcomes the Report of the Aerospace Review released earlier today and believes that its recommendations provide a clear path forward for the Government of Canada. 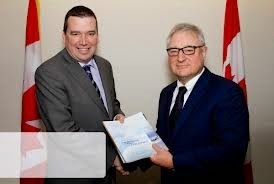 Telesat congratulates Minister Paradis for mandating the Aerospace Review and Mr. Emerson and his colleagues for their work in delivering a timely and focused report that addresses many of the critical issues facing Canada's space industry." Even better, as outlined in the November 30th, 2012 Vancouver Sun article, “Federal Finance Minister Flaherty in Victoria today talking budgets with business leaders” Telesat CEO and President Dan Goldberg had a chance the very next day to present those views to the Federal Finance Minister. 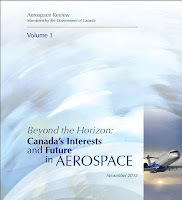 As outlined in the November 30th, 2012 Canadian Skies article "Aerospace Industries Association of Canada welcomes aerospace review findings," the Aerospace Industries Association of Canada (AIAC), which helped create the report, is also strongly in favor of its conclusions. The article quotes AIAC chairman David Schellenberg as stating, "Mr. Emerson recognizes the critical juncture the aerospace and space industry is facing and the urgent need for government, industry, academia and unions to adapt to a rapidly changing and highly competitive global environment. Early and effective implementation of these policies is critical to achieving the intended results. 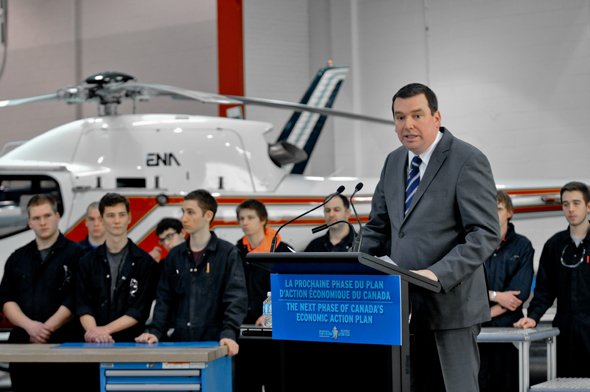 Canada's aerospace industry is ready and willing to do its part." Universities and educational facilities have also weighed in on the report. As outlined in the November 29th, 2012 CNW press release "Ryerson University Welcomes Emerson Aerospace Review Report" the Toronto based facility believes that the report "reinforces the critical importance of the industry to job creation and Canada's global competitiveness." The press release quotes Wendy Cukier, Ryerson University's Vice President of Research and Innovation as stating "this is an industry where Canada is among the top five countries in the world. 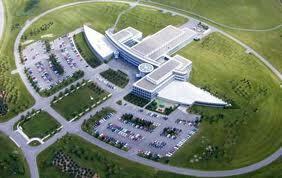 It generates annual revenues of $22 billion and employs nearly 66,000 Canadians. We cannot afford to fall behind. The report reinforces the need for the sector to be a national priority. We are particularly pleased the report mentions the importance of strengthening the Greater Toronto Area (GTA) aerospace cluster." BC based MacDonald Dettwiler (MDA) also "welcomes" the release of the Aerospace Review, at least according to their November 29th CNW press release "MDA welcomes Government focus on aerospace and space industries" which quotes MDA executive VP Dave Caddey as stating that "we are grateful to the Government and to Minister Paradis for mandating the Aerospace Review and for taking an in-depth look at this important sector. There is a clear recognition of the strategic role of space and aerospace to the economic well-being of Canada and this report is a critical first step towards revitalizing this sector. We will take the time to examine the report. We look forward to working with the government to ensure the competitiveness of the Canadian space sector for the next generation." As for the traditional "mass" media, the key to their responses might lie within the headlines. The November 29th, 2012 Postmedia News article "David Emerson urges Canada to pump up its aerospace and space industry" covers much the same territory as the November 30th, 2012 Toronto Star story "Global threat to Canada's aerospace industry" and the November 29th, 2012 Reuters article "Review says Canadian controls hamper aerospace sales." Each reminds us that amidst global economic hardship, emerging new players, and an opening Arctic frontier, Canada's space sector stands at a crossroads. So just what specifically does the Emerson Report recommend? That will be the subject of a future post. BC based space start-up UrtheCast has been named as one of Canada's 20 hottest innovative companies by the Canadian Innovation Exchange (CIX). The 20 firms were highlighted as part of the 2012 CIX National Conference, held November 27th at the MaRS Discovery District in Toronto, Ontario. The event, focused on emerging trends in the Canadian technology sector, attracted Canadian investors, entrepreneurs, and business leaders in digital media, communication technology and other areas. ...building, launching, installing, and operating two cameras on the Russian segment of the International Space Station. Video data collected by the cameras will be downlinked to ground stations across the planet and displayed in near-realtime on the UrtheCast web platform, or distributed directly to exclusive partners and customers. UrtheCast will provide this interactive platform and Earth imagery for Internet users, app developers, educators, media outlets, government bodies, humanitarian relief organizations, and environmental monitoring services. The 140 companies and organizations listed in the Canadian Space Directory generated $3.44 billion CDN in revenue and employed over 8000 Canadians in 2010, according to the 2010 State of the Canadian Space Sector Report. Over the last five years, total revenues generated by the Canadian space sector have increased by 38%.